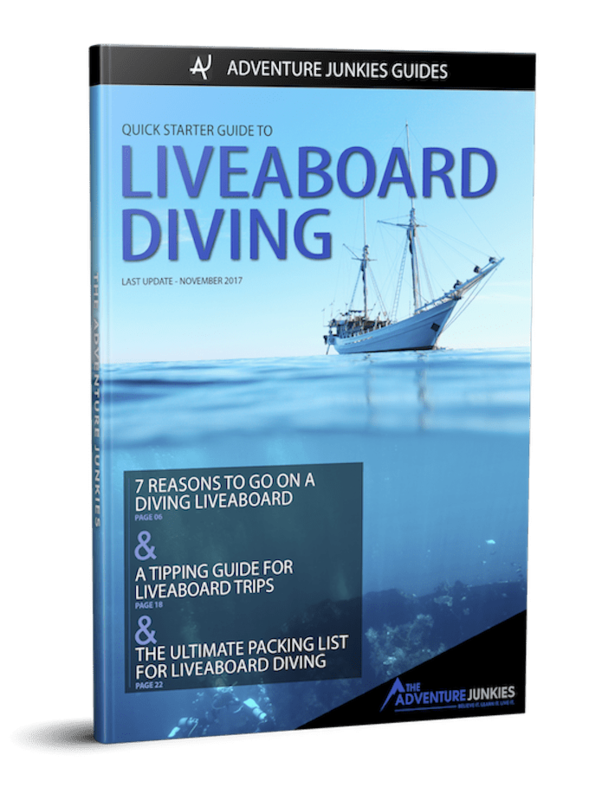 So, you want to know what are the best wreck dives in the world? Great, you’ve come to the right place! 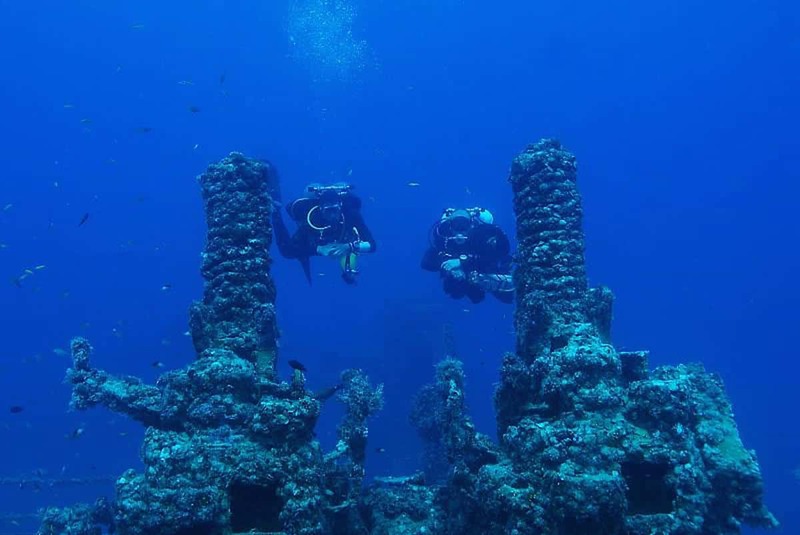 Diving a wreck is a real scuba adventure that gives us a chance to go back into the past. 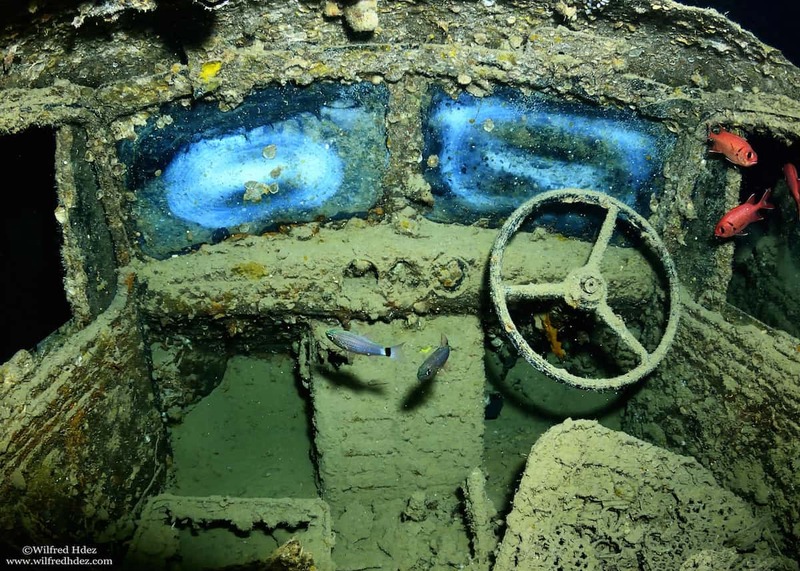 As you swim passed sunken ships, airplanes and even trucks, you’ll feel like you’re in an underwater museum. 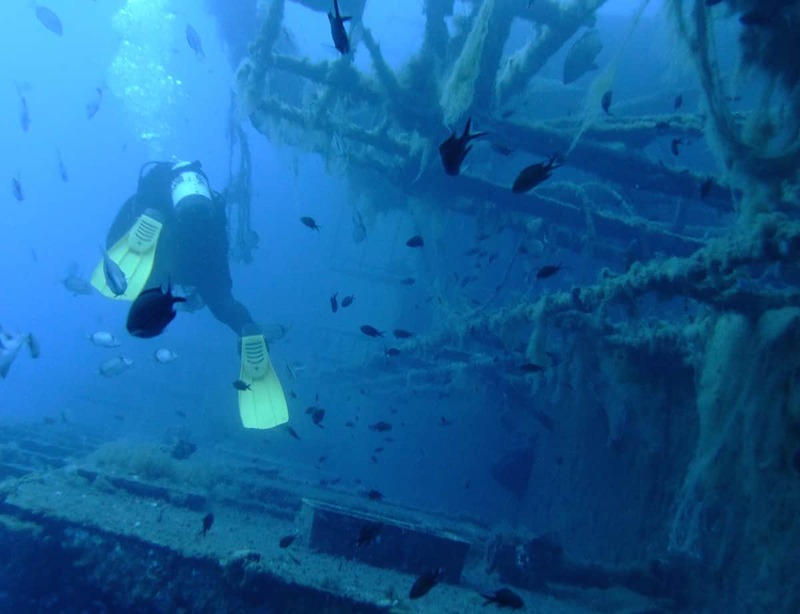 But wrecks aren’t just rusting hunks of metal, they’re thriving ecosystems. 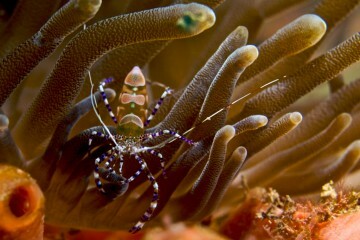 The colorful array of corals that take over the ship can attract all kinds of sea life. 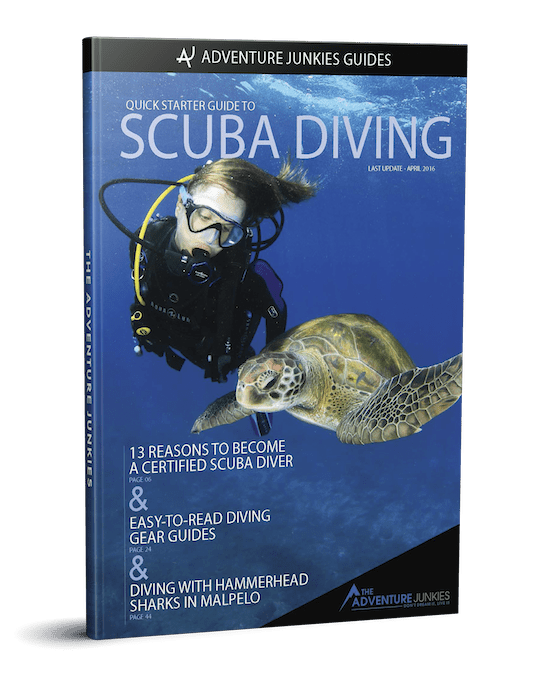 Here at The Adventure Junkies we love to inspire you to go out and explore the ocean by telling you great dive destinations. 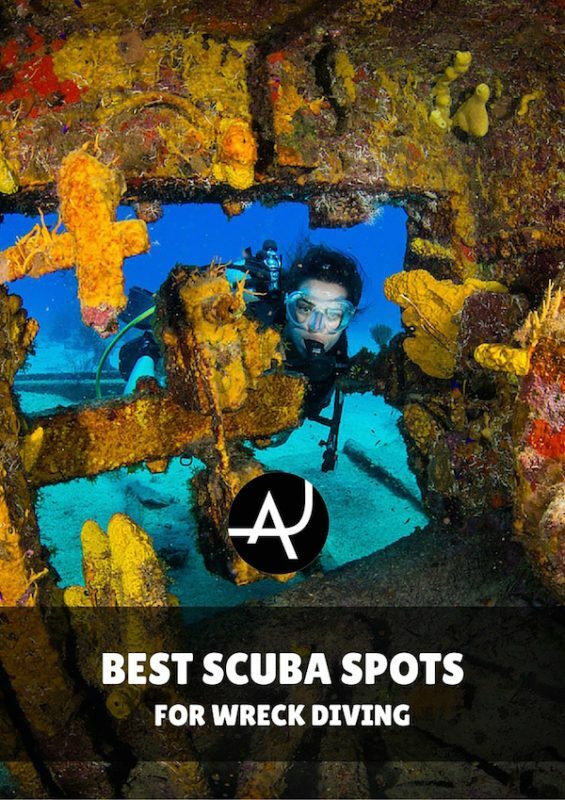 So, here’s 10 of the best wreck dives in the world to add to your scuba bucket list. 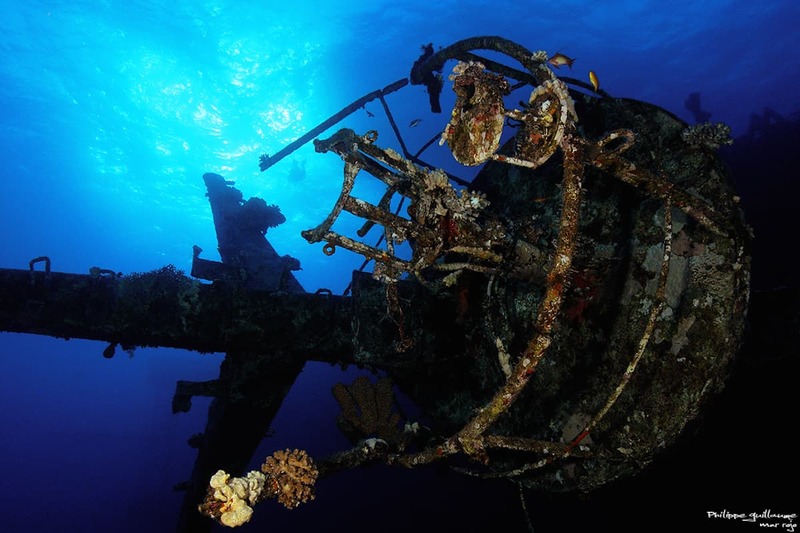 The SS Thistlegorm is considered to be the best wreck dive in the world. It’s a former World War II British transport ship that sunk in 1941 after a German air attack. 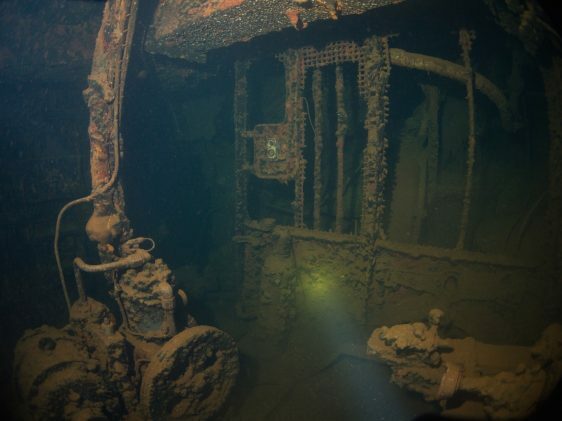 What makes this dive really cool is it’s like diving back into history. You’ll swim by two tanks, two locomotives, army trucks, Jeeps, motorcycles, boots and stacks of rifles. The Iro Maru was a Japanese oil tanker. After getting hit by a US Navy submarine bomb, it sunk in Palau in 1944. Nowadays the Iro rests 120 feet under the sea at Malakal Harbor. 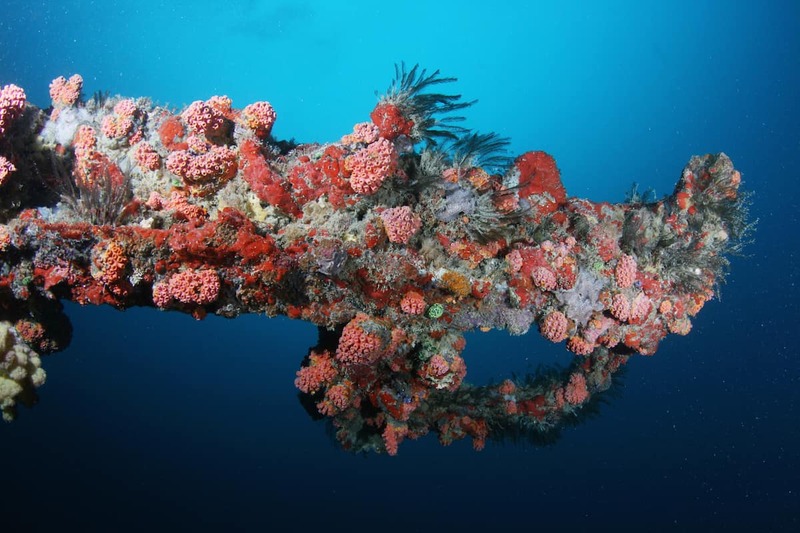 Golden black coral clings to the corroded metal and colorful corals incrust the wreck’s extremities, making it one beautiful home for a variety of sea life. 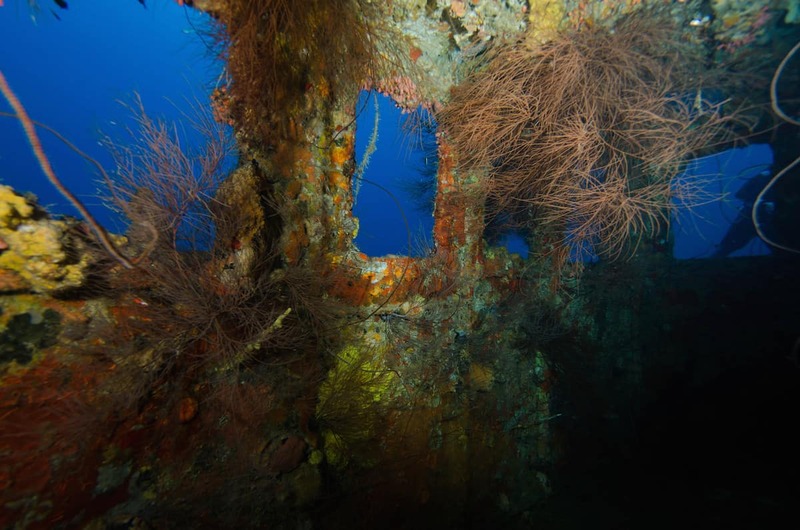 Due to the facts the ship lies upright, it’s massive and there’s a wide diversity of exploration points, the Iro Maru is the most popular wreck in Palau. The Superior Producer was a cargo freighter that was sunk in 1977. 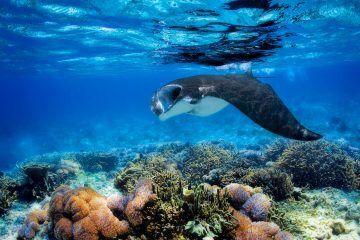 It sits at 100 ft off the coast of the Dutch Caribbean Island of Curacao. Orange cup corals cover the wheelhouse and yellow and purple tube sponges have sprouted in all directions. Eels poke their heads out of crevices while barracudas and tarpons swim laps from the bow to the stern. 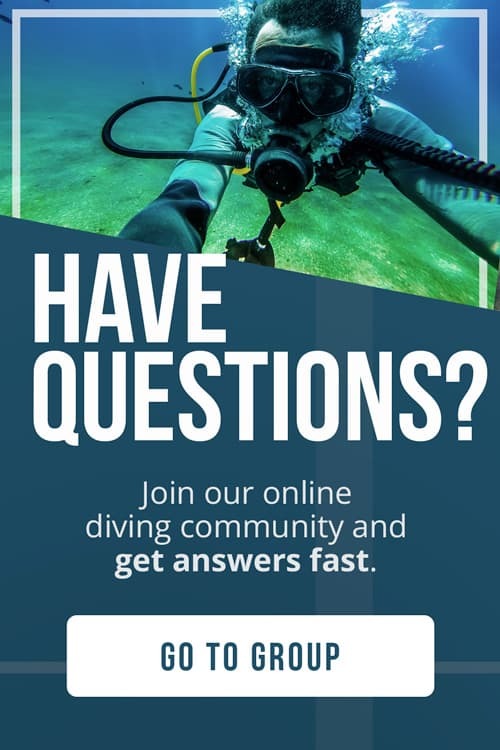 According to Sport Diver Magazine, The Superior Producer is considered one of the best wreck dives in the Caribbean. The passenger ship SS Yongala sank off the coast of Queensland, Australia in March 1911 after being hit by a cyclone. As you make your way down, you might spot a few giant trevally and schools of barracudas. Once you make it to the ship it is literally packed with marine life. Over 100 species of fish and 100 species of coral call the Yongala home. Divers love this site because you literally never know what you’re going to see. 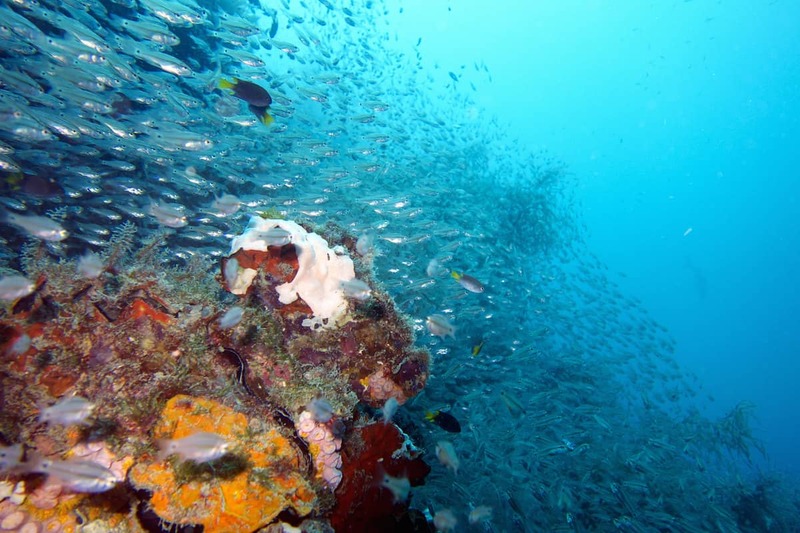 The sheer amount of fish life on the wreck make it one of the best wreck dives in the world. Of the 45 known ship wrecks in the Truk Lagoon, the Fujikawa Mara is the most popular. Why is that? Well, she’s easy to dive, contains a museums worth of WWII memorabilia and is filled with an array of marine life. Sure, there are larger and more heavily armed ships in the area but few can compare with the beauty of the Fujikawa. The Salem Express was a passenger ferry that operated between Egypt and Saudi Arabia. In 1991, it sank after colliding with the reef. Despite for being sunken for over two decades, the remnants from the tragedy that killed 470 pilgrims who were returning from Mecca, still remains intact. 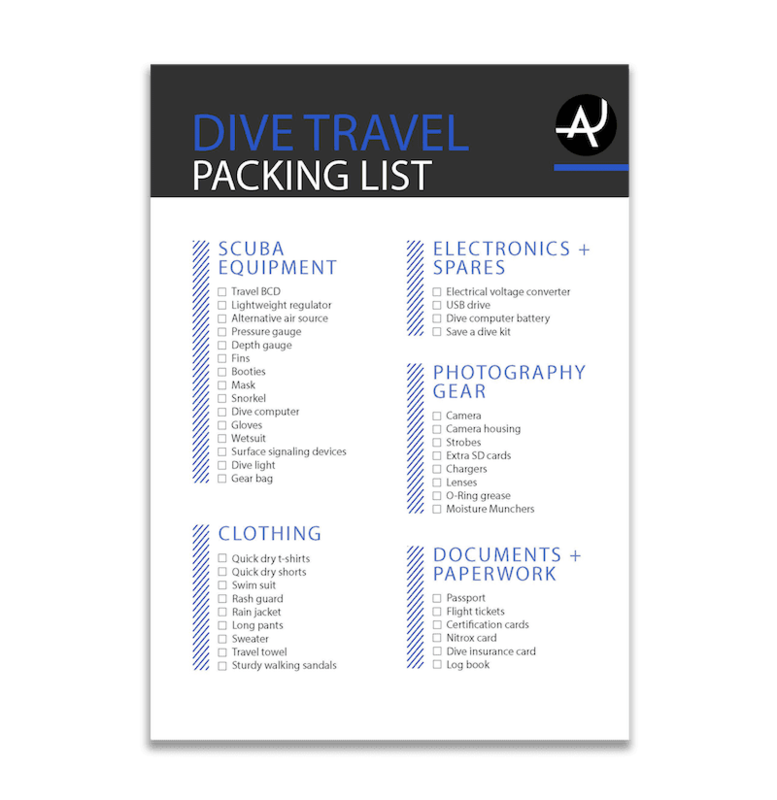 Here you can find packed suit cases, television sets, a bicycle and a wheel chair on this dive in the Red Sea. The Zenobia was a ferry that sank in 1980 on her maiden voyage. She now lies on her side, completely intact, in 137 feet (42 meters) of water just off the Larnaca coastline of Cyrus. The coolest thing about this massive wreck is it’s full of trucks. 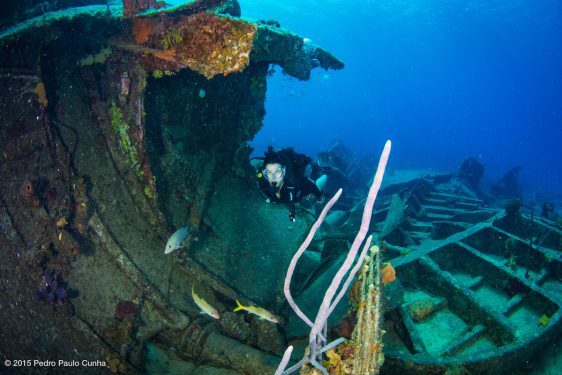 The Zenobia is the best wreck in the Mediterranean and one of the top 5 in the world. The Jake Seaplane was a Japanese Navy aircraft that sits in 50 feet (15 meters) of water. 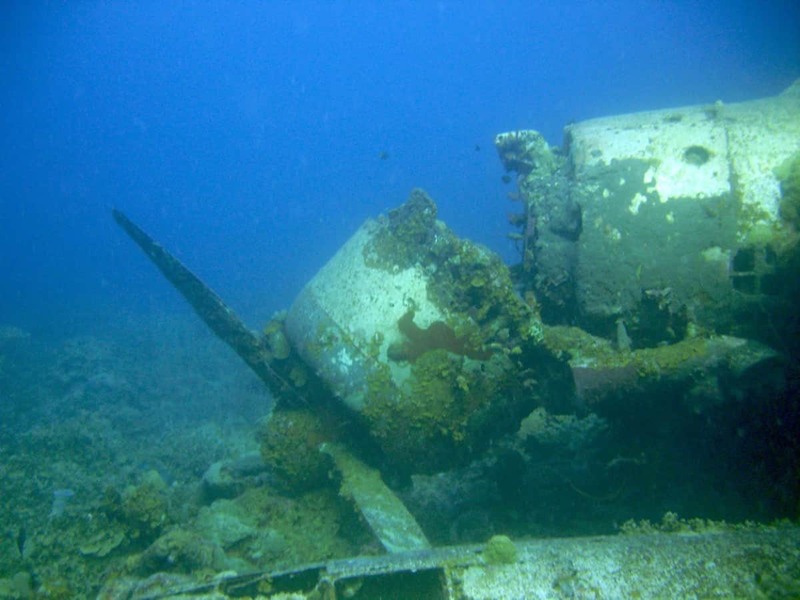 It’s one of the few intact airplanes left in Palau that’s accessible to divers. This sunken floatplane is fully encrusted with a variety of hard corals (including Black Coral, Sponges, Sea Whips and Staghorn), clams and oysters, nudibranchs, cuttlefish, octopus and even an occasional white tip reef shark can be seen here. 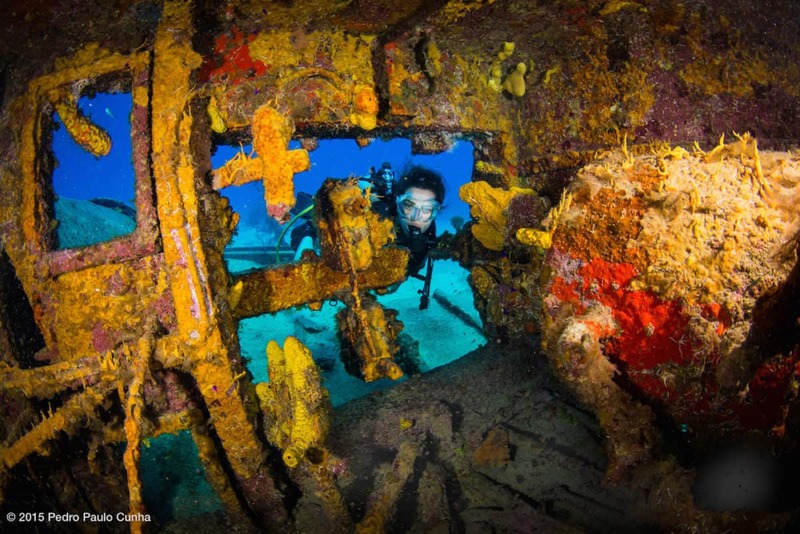 The USS Kittiwake was a US Navy submarine rescue vessel that had been in operation for over 50 years before it was sunk on purpose off of Seven Mile Beach on Grand Cayman Island. Warm water, incredible visibility and the ship’s accessibility make the Kittiwake an excellent wreck dive. The Spiegel Grove was a 510 ft landing ship dock that was sunk in 2002 to create an artificial reef in Key Largo. She now lies 134 ft under the sea, with the highest point of the ship at 60-65 ft. 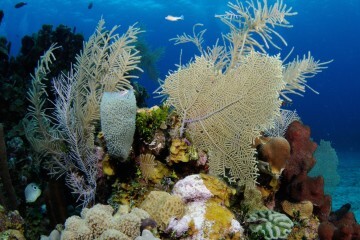 The ship has now created an enormous reef that attracts a variety of fish, from large groupers to smaller tropical fish.